An excellent “3.5 inch poster set” by designer Mehmet Gozetlik. 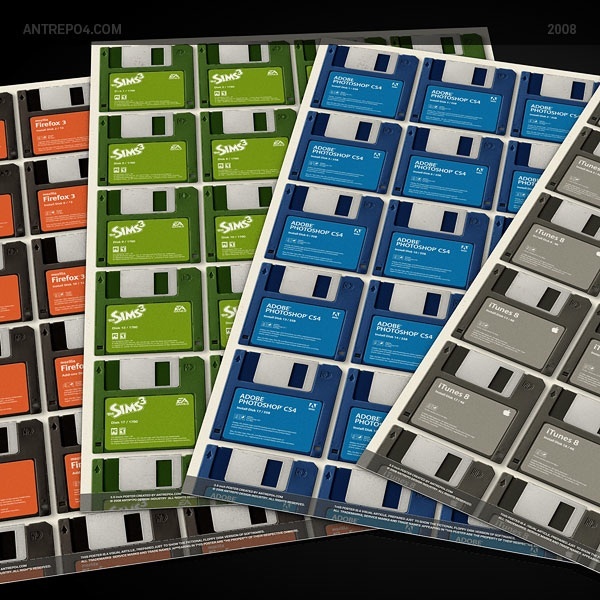 Each set shows the approximate amount of 3.5″ floppy disks needed to hold the current version of a specific program. It really gives you a look at how much memory storage has improved over the many years. Available to purchase for $350 at AntrepoShop.com.